Inland Homes has agreed a deal to sell a major 325-home development site in east London to Clarion Housing Group. The house builder has exchanged contracts for the Merrielands Crescent development in Dagenham in a sale worth £77.7m. Inland Homes will undertake the development phase of the site, which is expected to take three years, before handing it over to Clarion. 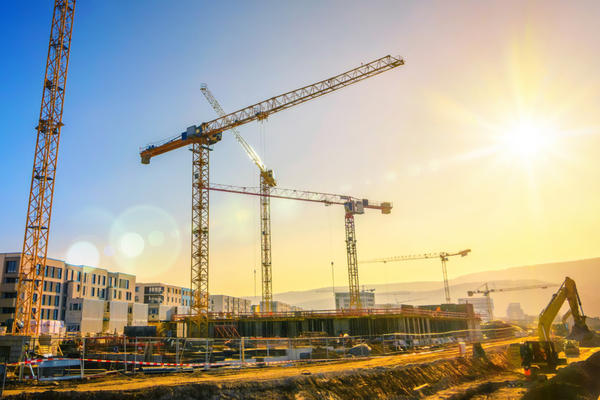 The four-acre site will comprise 325 residential units across a number of five to 10-storey apartment blocks, together with 1,514 sq m of commercial space and 178 car parking spaces. Inland Homes is already building 135 homes with Clarion in Alperton, west London. It said the partnerships allow it to recognise profits from land, while also securing construction contracts with guaranteed income. Inland Homes now has a record forward order book of more than £145m in its dedicated housing partnerships division, which works with social landlords to develop homes. It currently has 1,455 homes for private sale under construction and this latest partnership contract brings the total number of homes being built for housing associations to more than 800. He added that the deal shows the quality of its land holdings and the demand for tie-ups of this kind. He also said that Inland Homes has almost completed the transition “from a business that was predominantly focused on land trading to a business predicated on delivering our stated medium-term target of 1,000 homes per annum”. In August last year, Inland Homes registered a new subsidiary, Rosewood Housing, as a for-profit social housing provider. The division will develop, hold and manage affordable housing and will focus on homes provided under Section 106, for shared ownership and social or affordable rent. It is currently seeking a joint venture partner to increase its pipeline of homes.